For those that would like to continue on our adventure after dinner...we will motor to Starbucks at Hodges/JTB for a nice warm cup of coffee, apple cider, or hot chocolate....whatever your heart desires. 6:30 pm (approximate time) depart Starbucks to view some amazing Christmas Lights and end at Krispy Kreme on Atlantic Blvd for more coffee and donuts. Please add your name to the list before Thursday, December 11 5:00 pm. I will be calling in reservations at that time. 1 in 5 military Veterans suffer from PTSD, and 1 in 6 will attempt or have suicidal tendencies. K9s For Warriors is located in Ponte Vedra Beach, FL (larger location currently being built in Nocatee in order to assist more Warriors) that provides dogs rescued from shelters and trained to be service K9s to our military troops and veterans suffering from Post Traumatic Stress as a result of conflicts and war after 9/11. Their philosophy is to involve the veteran in the training of their new service canine partner, allowing them the opportunity to be part of the solution to their recovery. They provide a service canine, training, certification, equipment, seminars, vet care, most meals, and housing- free of charge. This is awesome! I have several friends who may also want to donate items! J3kidford wrote: This is awesome! I have several friends who may also want to donate items! Wooohoooo!!! I am also making a flier if anybody would like to post it at their office or ...wherever! For those that are unable to make the run (or this portion of the run) and would like to donate something...I can possibly arrange a pickup or pickup the items at one of our Friday night dinners! w/'86 Austin Mayfair "Eliza Doolittle"
I'm really looking forward to this! I added a +1 because one of our daughters might come along for the ride. See you all on Saturday! 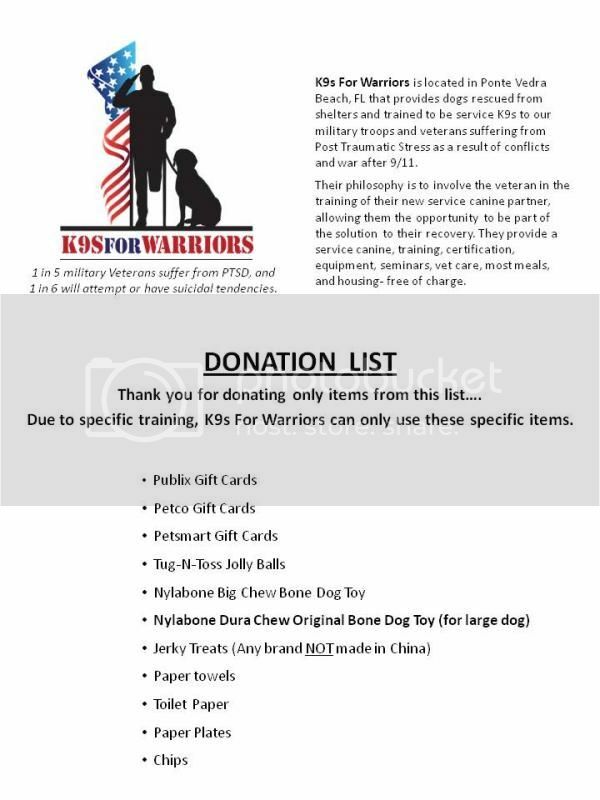 Hi, I am not sure where to post to find all the people who visited K9s for Warriors in December. My name is Sheri and you all met me and my dog Lola during your visit. I wanted to say "hey" because I bought a Mini Convertible today. 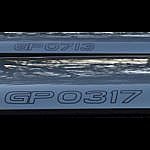 Is it possible to join your group? Sorry for the late response...congrats on your new MINI! several of us just returned from our Mickey and MINI event in Orlando....Welcome to Sunshine MINIs (Jacksonville Area MINI Motorers - JAMM chapter). Keep an eye on our facebook page and the website for upcoming events. 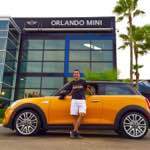 My name is Clint and I recently bought a 2015 Mini Cooper S! I'm in love with it and was looking to join a group of other mini owners in Jacksonville. This event in December sounds awesome and I was curious if you guys had any room for one more?! Welcome to the MINI family! !